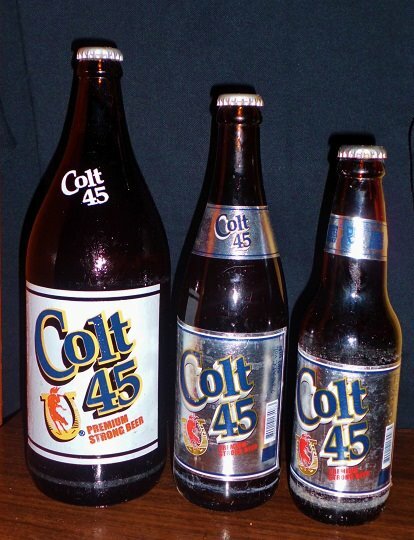 For real men who know what real strong beer is, there is only one premium roasted malt beer that’s specially made to suit the every man’s taste - Colt 45. Now brewed with triple hops to enhance the popular drink’s signature strength, taste, and aroma, Colt 45 brings a stronger, better-tasting hit to any drinker - and the fun is just starting. Highlighting its improved three-hop formulation, Colt 45 recently launched its latest campaign featuring the Colt 45 Beer Angels: Bela Padilla, Denise Laurel and Cesca Litton, three special agents on an important mission. With their steaming-hot looks, cunning wit and feisty demeanor, the Angels are tasked to make men out of boys with the new Triple Hops-brewed Colt 45. “Our new campaign unveils the Beer Angles who are out on a special mission to let real men experience the unique taste and kick of premium roasted malt and triple hops-brewed strong beer. With the help of our the Colt 45 Beer Angels, Colt 45 is set to fire up the drinking scene around the country,” says Asia Brewery Beer Marketing Manager Greg Anonas. Beer Angel Cesca Litton represents the Nugget hop, which brings balance to the beer. As a sports newscaster, radio DJ and showbiz correspondent, she exudes attitude and intelligence and is always where the action is. Aside from her appearances on TV, Cesca also leads an active lifestyle with sports such as surfing, football, as well as other activities men thought were solely theirs such as sport shooting and playing video games. Seeing herself as “one of the boys,” Cesca is a fearless femme fatale with stunning looks and a magnetic personality that can capture every man’s fancy -. Actress Denise Laurel is the Magnum hop personified, bringing out the oozing flavor of real strong beer. The face of unbridled love in TV’s Pintada, Denise makes men swoon over her gorgeous looks. But there’s more to this Angel than just her undeniably bewitching physique, as she also possesses a keen intellect to compliment her singing voice that can make romantics out of the toughest of men. Finally there is Bela Padilla, the Beer Angel who carries the essence of Colt 45’s Haller Tau hop that brings out its signature aroma. A certified head-turner with tempting curves and a beguiling come-hither appeal, Bela creates an air of passion around her. With razor-sharp wits and a heavenly face, she radiates irresistible beauty without effort. Bela perfectly is the epitome of Colt 45’s Beer Angels. With the perfect balance of beauty, brains and talent, the Beer Angels are the perfect ambassadors of the brand as they embody the qualities men look for in the perfect beer. “We’re very flattered to be representing one of the best-tasting real strong beers in the world; its new triple hops really make the difference in taste. I made sure to bring in a little bit of that feisty flavor during our TVC shoots to make it even more exciting,” Denise Laurel says. Outspoken Bela shares, “We’re very thrilled to be chosen as the Angels. Colt 45’s new triple-hop formula is a blast in itself, and with this tour in the works it feels like we’re in for a great ride. Everyone should really breathe in the new enticing scent of Colt 45,” she says. Like the Beer Angels, Colt 45 is a first-class blend of three beer hops, magnum, nugget and haller tau, brewed to perfection. Magnum enhances its flavor, haller tau provides its sensational aroma, and nugget balances all the elements to provide beer lovers the premium beer drinking experience. It also boasts of premium roasted malt that brings out its authentic beer taste and high-quality flavor that real men look for. At 7.2% alcohol volume, Colt 45 provides the most intense hit in the strong beer market. With its enriched formula that’s set to provide the ultimate strong beer experience, Colt 45 is the country’s first premium roasted malt beer that’s triple hops brewed to deliver the extreme kick, taste, aroma and balance no other strong beer brand can provide. 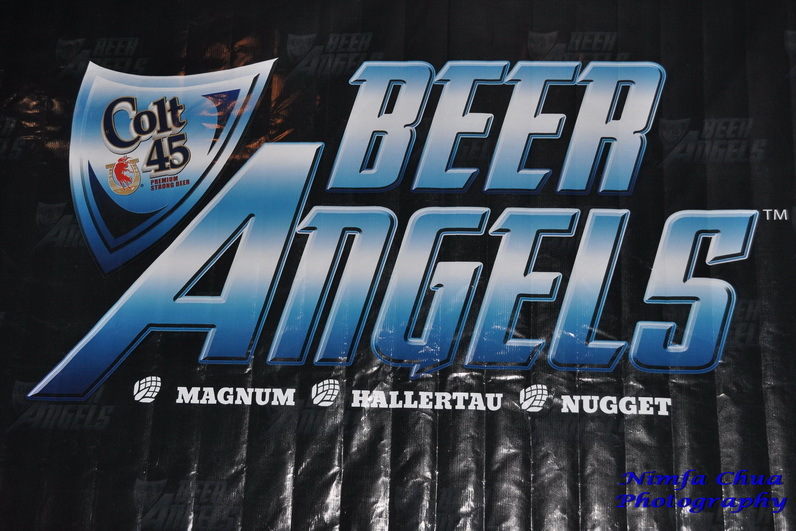 Watch out for exciting events and tours as the Beer Angels bring Colt 45 to every beer joint in the country. 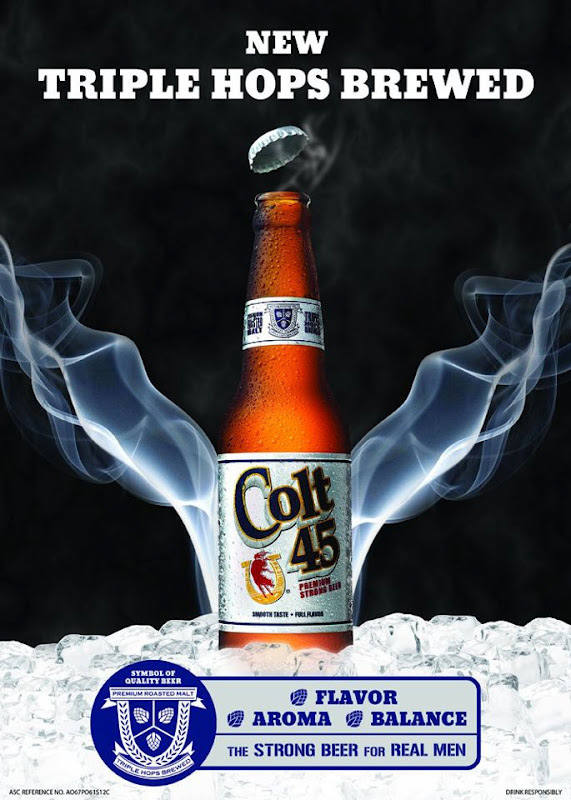 Colt 45 is now available for drinkers 18 and above for only P16 in stores nationwide. AUGUST 22, 2012 "MEDIA LAUNCH"